Bondi is known as a party town and on New Years' Eve 15,000 revellers descend on the beach front for the Shore Thing Concert. At 5am the following morning lifeguards arrive to deal with the aftermath. 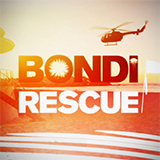 Bondi Rescue was broadcast on Ten at Friday 1 February 2019, 19:23.